Above-normal humidity across the East this summer caused mold problems in residence halls at several colleges and universities. In many cases, students moved to hotels and other lodgings while crews cleaned the dorms, though no serious illnesses have been reported. At Southern Maine Community College in August, a malfunctioning energy recovery unit failed to dehumidify air that was recirculated into Spring Point Residence Hall, while the region was experiencing record heat and humidity, says Tiffanie Bentley, the dean of students. The 60 students living in the building (as early arrivals) moved to a residence hall across the street. That meant that when fall classes started, administrators booked rooms at six hotels—during Maine’s busy tourist season—to accommodate more than 300 students. Free bus service brought them to campus. Students received handwritten letters and emails notifying them of the need to move. The university also provided moving assistance. “By and large, when you communicate with students every step of the way and let them know what to expect, they are willing to put up with inconvenience,” Bentley says. Crews worked 24/7 for three weeks so students could move back in on September 15. 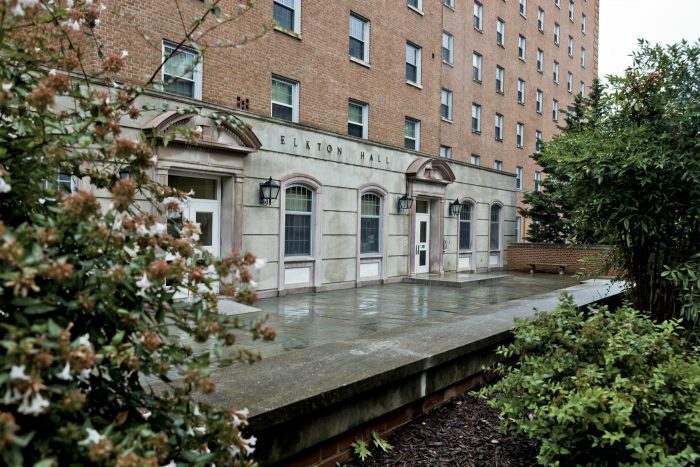 In September, the University of Maryland moved 500 students, floor by floor, to hotels after a sharp increase in mold reports at Elkton Hall and isolated complaints at other dormitories. The campus had experienced high humidity and heavy rain over the summer. Crews cleaned all affected rooms as well as the building’s air conditioning unit. Throughout the process, the university held Q&A sessions, and maintained a webpage with frequently asked questions about mold. The page also detailed all communications sent to the campus community. One notification urged professors to give affected students some academic leeway while they relocated to hotels. Other messages kept parents informed about the cleaning. Students moved back into the dorm on October 10. The Resident Life and Residential Facilities departments are now working with third-party consultants to review mold-response procedures. When a mold report is received, a Department of Residential Facilities staff member inspects furniture, walls, closets and fan coils, and any furniture with significant mold growth gets replaced.